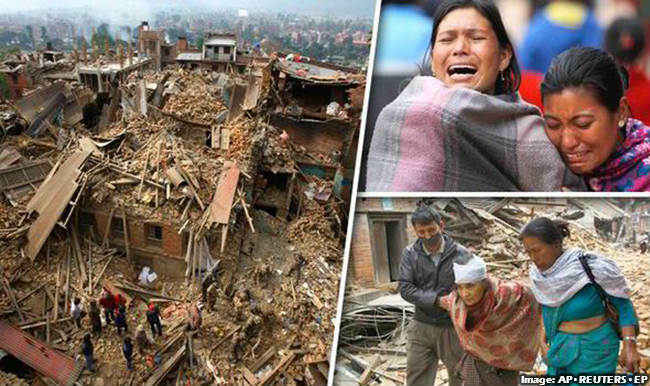 It was 25th of April, 2015 when an earthquake of magnitude 7.8 struck Nepal (also known as the massive Nepal Earthquake) near the capital in the northwest direction. It was the massive quake which was the worst to strike Nepal in last 80 years. Along the first earthquake on Sunday with magnitude 7.8, another earthquake hit the country with the magnitude of 7.3 just 17 days later on May 12, which changed the bad situation into the worst. Nepal which was well known for its cultural heritage historical monuments, building, architecture was a touristic place which was the major destination for that visitor who was interested in mountain climbing, observing natural beauty. Along with these Nepal is one of the developing countries in Southeast Asia. So the damage caused by the earthquake brought much more hazard and harm to the condition of people living in this country. Many people become homeless, many lost their life, and lot people were injured. The damage done by this earthquake has given strain on its citizens that will last for many years will not heal easily. 2. Epicenter: In about 50 miles northwest of Kathmandu (the country’s capital in central Nepal). 3. Depth: 11 km/6.8 miles which were relatively shallow so resulted in many harms and damages. 4. Aftershocks: In about hundreds in total. With them, two major aftershocks of 6.6 and 6.7 magnitudes, and a second 7.3 magnitude quake on May 12 was a major one. Worst earthquake since 1932 which was off 8.2 Richter scale in 1932, which killed 10,000 to 12,000 people and completely affected almost all sector and condition of Kathmandu and many another place. 5. People affected: Approximately 8 million were affected. 6. Death toll: In About 8,700, including around 150 people who lost their lives in the aftershocks of May 12. 7. The number of people injured: At least 22,200 or more. The worst earthquake that the Nepali people ever suffered caused the destruction of homes and spoilage of things what the people owe. Homes were crumbled, historical monuments were destroyed, road damaged and communication facilities were completely unreachable and useless. The landslide took place at the mean time because of movement in the heavy rocks in the hilly area which destroys crops, human settlements and human life too. Terraced farms and cattle were wiped out. 12. Percentage Areas affected: 40 percent of Nepal where 39 out of 75 districts reported damage. Reports of death were caused in neighboring Tibet and India. 13. Most affected areas across the country: Gorkha, Sindhupalchok, Lamjung as well as Kathmandu, Bhaktapur, Lalitpur Districts. Many aids and help were done by many countries NGOs and INGOs in order to manage and overcome the worst situation which was caused by the massive and destructive earthquake.